You Are Here: Home → Analysis → Recruitment Analysis → Steve Othen: Is the candidate experience really that important? The Recruitment and Employment Confederation’s (REC) latest research, The candidate strikes back, highlights a big mismatch between what job applicants want from employers, and what employers think is important. Whilst initially this might seem surprising, it shouldn’t be when you consider that the report also shows that 80 percent of candidates are not asked by employers to give feedback regarding the application process. So why are employers wilfully missing this opportunity? Is candidate experience really that important after all? We know that proactively reaching out to talent via employer branding is high on the agenda for HR. According to the latest LinkedIn Global Recruiting Trends, 56 percent of “global talent leaders” said employer brand is a top priority for their company. The same report also shows that 46 percent of the same audience see the future of recruitment as becoming more like marketing. This trend is evidence of it getting harder for employers to attract the people they need. Our monthly ‘Report on Jobs’ has tracked the rise of skills shortages throughout the UK. The data makes for uncomfortable reading, with month-on-month increases in vacancies and rapidly declining availability of candidates. Recruiters are reporting that they are struggling to find candidates for a variety of roles because demand is outstripping supply. If you are hesitant to trust a man only quoting data from his particular employer, it is also worth noting PwC’s Annual Global CEO Survey 2015, in which 84 percent of CEO in the UK say that skill shortages are of real concern to their business. The report also suggests that around one in four merger/acquisition deals go ahead in order for the instigating company to acquire the skills they need to succeed – organisations are being purchased to acquire people. This need for talent is echoed in a report from Lumesse which states that 76 percent of the global HR decision-makers they surveyed cite a shortage of talent as the biggest threat to their business in the next two years. With candidates in high demand, talented people have started to realise that they can pick and choose where they wish to work, for how long and (in some instances) for how much pay. For HR, that means providing a quality candidate experience is even more important. We are investing in our talent attraction strategies and our employer brand, but if we scare away the candidates with a bad experience, it will all be for nothing because those candidates won’t come back – and the impact goes further than one individual. During our research for ‘The candidate strikes back’, we conduced focus groups, and it was interesting to hear talented individuals talk about their journeys. It was clear that when given a positive experience (even when the job was not the right fit) not only would they be happy to recommend a more suitable candidate from their network, they would also consider future offers of employment from that organisation. A negative experience can have the reverse impact, because candidates share their experiences with their friends and family, their professional networks and sometimes beyond that via websites such as Glassdoor. Candidate experience can also impact the bottom line. One in five of the candidates we surveyed made decisions on whether to buy a product or service from an organisation based on their candidate experience. The same number of respondents also admitted to influencing friends and family. According to CEB, a positive candidate experience can have a post-hire impact too. 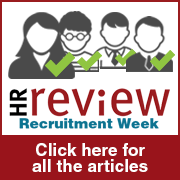 Their data suggests that new hires who report a positive candidate experience apply 15 percent more discretionary effort and are 38 percent more likely to stay with the organisation. This is huge. To summarise: skills shortages are real and businesses are having to work harder to attract talent; skilled workers have more choice about how they work; individuals have ways of broadcasting their experiences (good or bad); in many cases candidates are customers; and if we want to retain more staff this starts with the experiences they have before they are even employed by the organisation. So is candidate experience important? Absolutely. In our report we make recommendations for employers seeking to improve their candidate experience. These are: manage expectations by being clear about what job seekers can expect from your process from the outset; providing more communication throughout the process (and make this personalised – not “Dear Candidate”); engage hiring managers and ensure they know the reasons why this is important; and make sure you ask candidates for feedback on your process as an employer so that you can continually improve. If you are unsure how to measure your candidate experience, if you don’t know what to ask, or you don’t want to reinvent the wheel, I would suggest taking a look at the Candidate Experience Awards. This is a free service available to employers that facilitates the benchmarking of your processes against other organisations. Those that are not ‘winners’ are not named, only the winners are – so what do you have to lose? Steve Othen will be addressing delegates on building the recruitment process at the Symposium Innovation in Recruitment Summit on September 24 in London. Excellent Brainpoke article! Focusing on creating a brand appropriate and engaging candidate experience is no longer a nice to do (if it ever was a nice to do) but a mandatory /critical HR-Recruiter activity. “46 percent of the same audience see the future of recruitment as becoming more like marketing.” That future is here right now! This is another reality. Not only are HR and Recruiters in Marketing; they are in Sales too. Every Recruitment marketing activity is a sales message – a pitch and a proposition of employment to the (prospective) candidate. This is made even more challenging because it is likely that the Recruiter is selling their organisation’s employment offer in a (over)-crowded market.